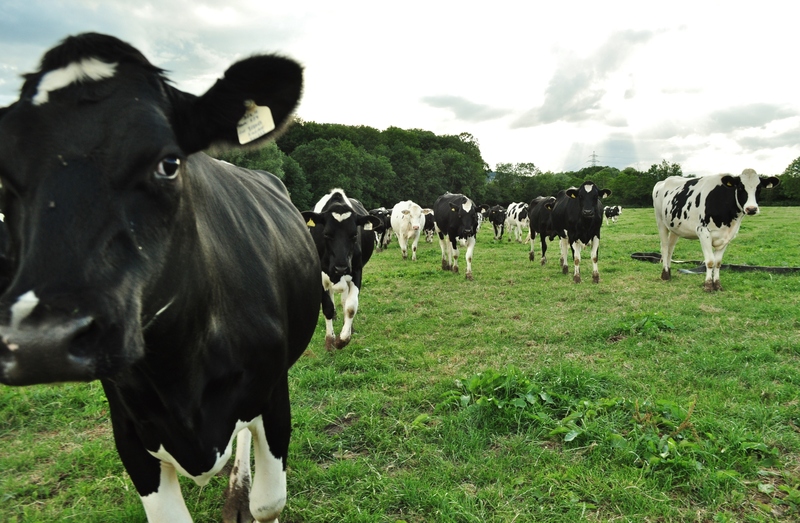 You may have heard in the press that dairy farmers have had a tough time recently. At Bennetts Farms the vast majority of our income comes from liquid milk and we currently receive about 30p for each litre our cows produce. Sadly this low price barely covers production costs and is considered the main reason why nearly 71% of registered milk producers have gone out of milk between 1995 and 2013. 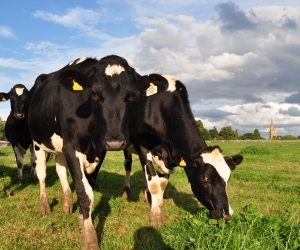 Currently approximately 10,500 dairy farms remain in the UK which supply a handful of large dairies. These market dynamics have do not work well for the farmers who are seeing an ever reducing margin as it is redistributed to the large dairies and supermarkets. Rather than getting all depressed about our fantastic industry here at Bennetts Farms we are trying a more proactive approach. Our strategy is to develop our own retail markets for our farm produce. In autumn 2013 we launched this strategy with selling meat boxes. We hope to reinvest these proceeds into equipment to allow small scale processing of our milk. Bennetts Daries, run by another family member already processes 100,000 litres of our milk into delicious creamy ice cream. We will be selling and distributing the produce from Hayswood farm in Malvern and Worcester initially, but hope to offer a delivery and courier service in the future to reach further afield. 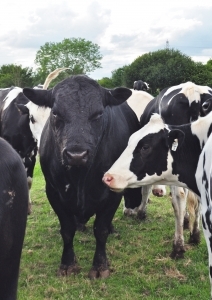 Did you know that over 50% of all beef animals produced in the UK are a by-product of the dairy industry? 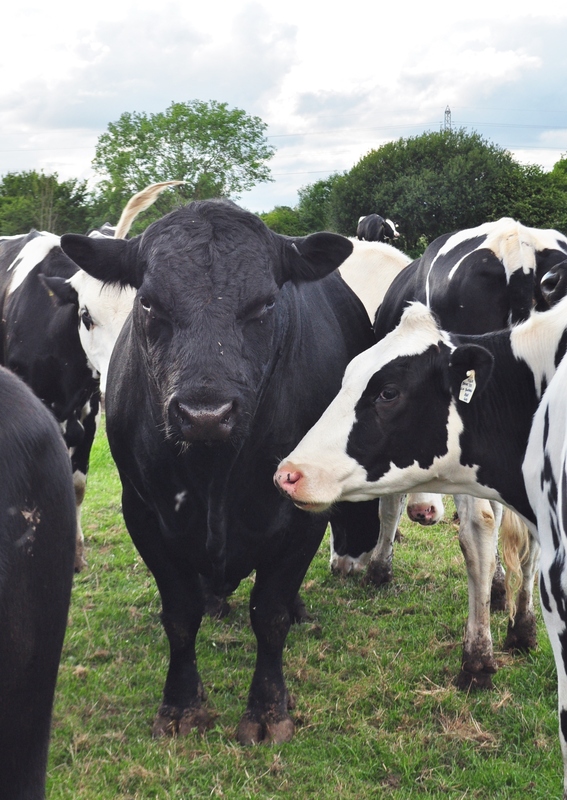 A dairy cow will only produce milk for about a year after having her calf, so this means a lot of calves are produced and many of them are crossed with beef varieties. Here at Bennetts Farms we have two pedigree beef bulls, Bob an Aberdeen Angus and Iceburg a British Blonde. These bulls have rather a charmed life being fed top quality dairy rations and a harem bigger than an Ottoman Sultan’s. We keep some of their calves and are rearing them for beef. We also have a regular stream of pedigree Holstein Frisians who need a career change from milk to meat production. Whilst the traditional beef breeds have a much better carcass shape to provide big steaks and joints which make them more economical to rear, the dairy cows can often be tastier due to higher marbling in the meat. This is one of the reasons why restaurants often use meat from dairy cull cows instead of from prime beef. We fully guarantee the traceability of our beef, and know for certain that it didn’t begin life as a horse! We only retail animals reared on our farm and take them to the abattoir personally. We have visited the abattoir and are completely satisfied with their fully licensed Quality Assurance procedure and know that we get back the cow we send, albeit in a more reduced form. All our cattle are finished on a forage based diet which studies have shown leads to a tastier meat. On the farm we are fully assured by the Red Tractor scheme for beef and milk. But most importantly we guarantee that our beef tastes better than anything you will find in a polystyrene tray in your local supermarket. We are happy to offer you a free sample if you won’t take our word for it. We have tried to keep our process as local as possible. We take our cattle 30 miles down to Cindeford, from there their carcasses return 20 miles to Ledbury where they are hung, cut and vacuum packet. They then travel the final 10 miles back to the Farm where we make them up in the boxes ready for collection. 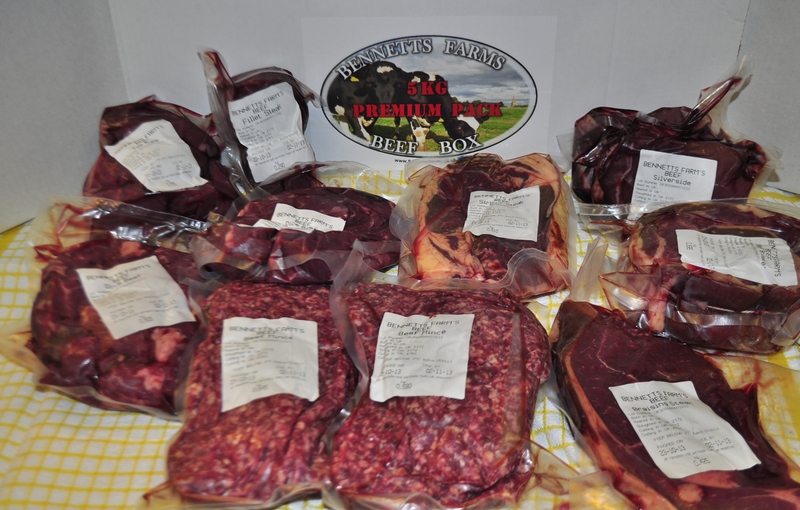 We sell 3 beef boxes in 2.5kg or 5kg premium beef box or a 2kg family beef box. Each beef box has a fixed amount of steaks, joints and chopped/minced packs but the actual cuts may vary. We match our prices to Tesco’s to ensure that we are providing good value. If you are planning a party or big event and want something special please contact us directly and we will do our best to help you. One cow will be sent to abattoir the third week of every month and will then be put into beef boxes and be ready to collect the second Friday of the following month. The easiest way to order click on the meat box tab where you can pay and order online alternatively you can order with Sally at the Madresfield Early Years Centre Office in person or on the phone between 9am and 3pm on 01684 574378. Please sign up to our farm produce email list by sending an email on the Contact Us page. We use this facility to send a reminder to see if you fancy ordering a beef box each month. We have recently changed from using cardboard boxes to cotton bags we have sourced from a company called BIDBI. BIDBI make sustainable, branded cloth bags. They are committed to making products that provide support and prosperity for the people that make them, using materials that have a low impact on the environment. Originally trading as Bag It Don’t Bin It, they have provided custom-printed bags for clients large and small since 2007. 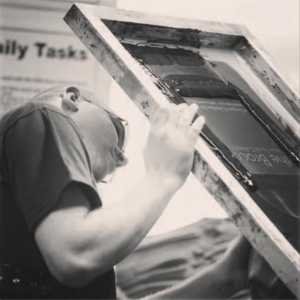 BIDI have brought together a team of creative individuals at their UK print factory, and conscientious partners from around the world, to make beautiful yet affordable bags for our business.